The Coast Guard was at the scene of today's search. 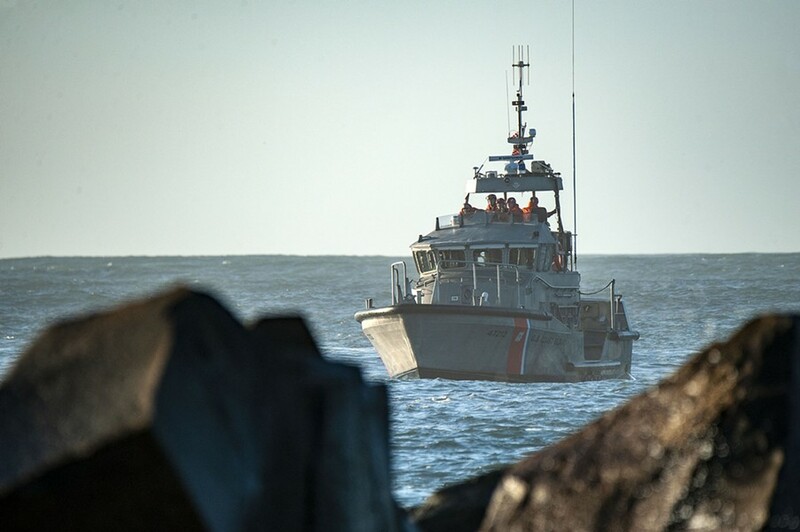 The Coast Guard has suspended the search for a 19-year-old Humboldt State University student who was swept off of the North Jetty Monday afternoon while fishing with friends. KeyMaan Stringer, who was from Los Angeles, was last seen about 4:30 p.m. when he went to free his line and was hit by a wave. Another man went into the water after Stringer but was unable to reach him. According to a release, the Coast Guard traversed “160 square-nautical miles for 16 hours in a continuous effort” in an effort to locate Stringer. The search was called off just before 10 a.m. Tuesday. Humboldt State University is offering counseling services after a 19-year-old student was swept off the North Jetty this afternoon while fishing. “Our thoughts are with all of those affected by this accident, and the University is reaching out to provide support to friends and others,” a campus statement reads. The U.S. Coast Guard and other rescue groups are searching for a 19-year-old Humboldt State student who was swept into the water at the North Jetty this afternoon. The Coast Guard has sent a helicopter and a boat to aid in the search. Humboldt County Sheriff’s Office spokesperson Samantha Karges identified the missing man as Keymaan Jac Quesmalik Stringer of Los Angeles. He was fishing with a group of other students. The first 911 call came in around 4:15 p.m. According to the Lost Coast Outpost, Stringer was swept off the rocks while trying to clear a fishing line and another man jumped in to help but couldn’t reach him. 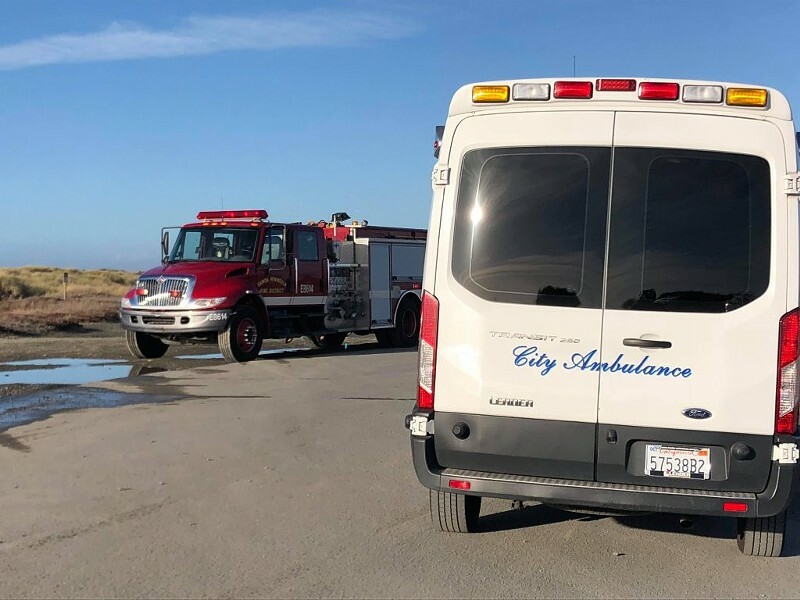 We are sad to share news that a Humboldt State University student was swept into the water at the North Jetty in Eureka today at about 4:30 p.m. He was hit by a sneaker wave, and has not been found. Numerous agencies, including the U.S. Coast Guard and other first responders, have been searching for the student. Our thoughts are with all of those affected by this accident, and the University is reaching out to provide support to friends and others. Students seeking support may contact Counseling & Psychological Services at 707.826.3236 (24-hour support and regular business hours) located at the Student Health Center. Students may also contact the Dean of Students Office at 211 Siemens Hall or 707.826.3504. Staff or faculty seeking additional support may utilize the Employee Assistance Program at 707.443.7358. We will keep the campus community updated as we learn more. Editor's note: A version of this report first appeared on www.kymkemp.com and is reposted here with permission and has been updated with the full legal name of the missing student.